The Medi Mediven for Men Class 2 Grey Compression Socks are compression socks from Medi, one of the UK's leading compression stockings manufacturers. The Medi Mediven for Men Class 2 Grey Compression Socks feature Clima Comfort, which reduces sweaty feet and stops skin from drying out. Clima Fresh keeps the stockings fresh and hygienic by preventing fungus & bacteria from sticking around. 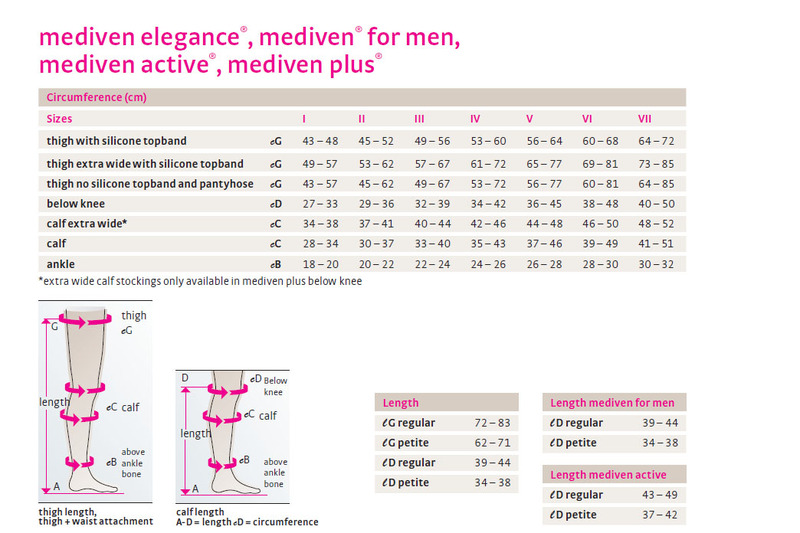 Medi Mediven for Men Class 2 Grey Compression Socks are non-returnable and non-refundable on grounds of hygiene. Please be advised that the staff at Compression Stockings are not medically trained; please visit a medical professional to find out more about suitability. Your doctor must also decide which compression level is suitable for your condition. See the Contraindications tab to find out more about suitability. N.B. It is advised to visit a medical professional regularly to ensure proper treatment. Mediven for Men Compression Socks should not be used with the certain conditions, please see the information below to further decide suitability. ​We strongly urge anyone uncertain of their suitability for these socks to check with a medical professional before purchasing.